The Duke Cambridge has visited RAF Coningsby to help celebrate the 60th Anniversary of the Battle of Britain Memorial Flight (BBMF). The Duke of Cambridge is Patron of the Battle of Britain Memorial Flight (BBMF), who today celebrated their 60th Anniversary. The BBMF acts a living tribute to those who served, and lost their lives, in the Royal Air Force (RAF) and in the Battle of the Britain. 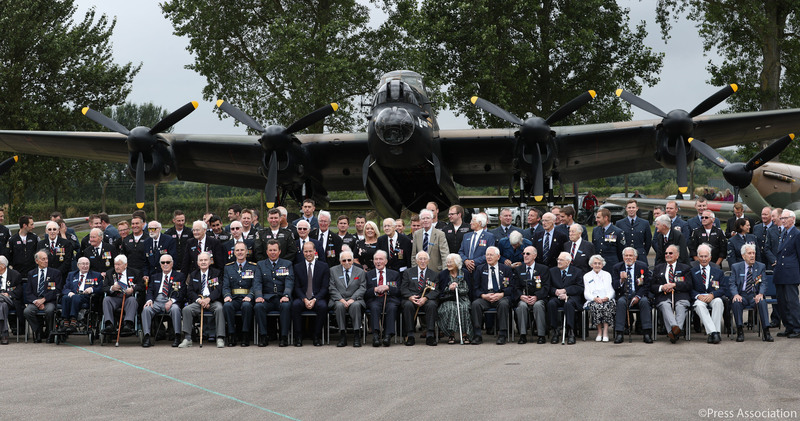 The Dukes visit coincided with exact date – 11th July – that the BBMF was formed in 1957. Wing Commander Peter Thompson realised that many of the iconic planes that flew in the Battle of Britain were falling out of service. Group Captain Thompson believed a way to honour the RAF's victory was to ensure they could preserve examples of the principle aircraft involved – the Hurricane and the Spitfire. On the 11th July 1957 three Spitfires (PM631, PS853 & PS915) were flown from Duxford to Biggin Hill in a three ship founding, marking the BBMF Foundation. At a reception to celebrate this milestone, The Duke was able to meet a number of veterans who flew and worked on the aircraft during the Second World War. The now iconic BBMF has displayed or flown past thousands of events – around 7 million people a year have the chance to see them. During today's celebration the crowd were treated to a wonderful display by the Flight – which now contains 12 historic aircraft; a Lancaster, a Dakota, six Spitfires and two Hurricanes, plus two Chipmunks used for training. The Duke of Cambridge, who completed his service in the Armed Forces with a Tour with the Royal Air Force Search and Rescue Force at RAF Valley, Anglesey, is Honorary Air Commandant of RAF Coningsby.